Salon pamper sessions don't need to be skipped or rushed due to lack of time anymore. 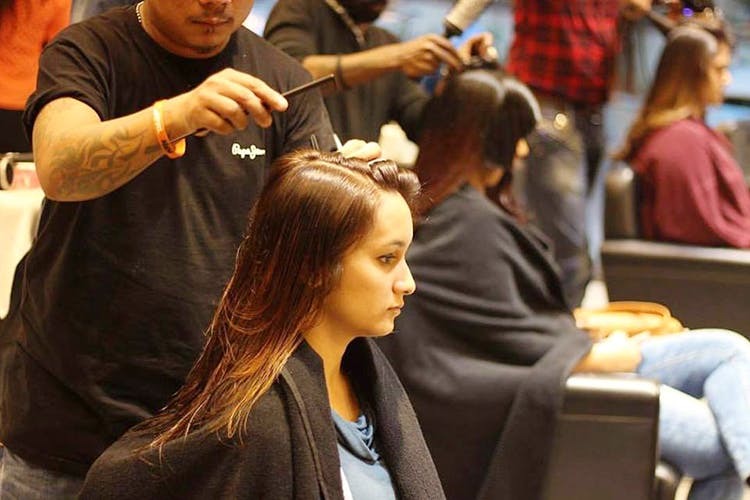 Midnight Freedom Fashion at all Head Turners salons assure you pamper time with coolest and best services at incredible rates. Drop in after work, dinner or any time you are comfortable as all ten branches of Head Turners till midnight. Avail a flat rate of INR 999, and no additional GST, for mind-blowing services like pedicures (Lotus, Bomb Cosmetics, Kiana), facial (Lotus, O3+, Loreal, Babor), SP hair treatment, premium hair spa (Moroccon Oil, Brazil Cacau). There are more offers for premium services at INR 1,499. The service is amazing by the well trained staff and it's the best kind of freedom one can get daily dose of stress. The service booking needs to be made till August 15, midnight. The services can be available all through August on prior appointment. Once you have availed services and recommend a free you get additional complimentary services on your next visit.